Wednesday, September 06, 2017 by Isabelle Z. After being hit with 50 inches of rain in under four days thanks to Hurricane Harvey, Houston is currently experiencing extensive flooding, and officials say it could take weeks before the roads become passable again. Many in the mainstream media are taking advantage of Texans’ misery to further their climate change agenda, blaming the rising water on global warming. 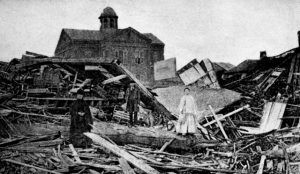 However, a growing voice of experts is pointing out that this is the type of natural weather disaster has been pretty standard throughout history. He says that it can be difficult to compare major flooding throughout history because people alter the landscapes over time. For example, he points out that as cities like Houston grow, areas once covered only in soil begin to host buildings, parking lots, and roads, which causes water to drain off instead of being soaked into the dirt like it was in the past. Add to this the fact that Houston’s population has grown ten times since the 1920s, and you’ll see that it’s now a much different state of affairs. Nevertheless, Houston is no stranger to flooding, and these disasters precede modern industrialization. 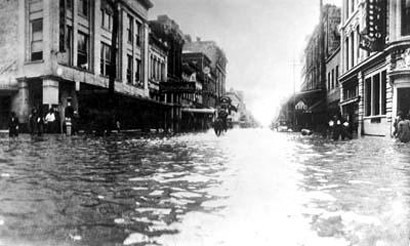 Photos show Houston underwater after one massive flood hit the city’s downtown area in December 1935 that saw water levels at Buffalo Bayou reaching 54.4 feet. The current water level there now stands at just 38 feet, although it is rising. Spencer believes that Houston’s current flooding isn’t as bad as the one that hit the area 80 years ago despite the fact that the city had 2 million fewer people back then. He disputes the idea that Harvey’s high rainfall was caused by man-made warming, saying that the concentration of the rain over the Houston area was caused by the hurricane stalling after coming ashore. Moreover, he adds that we are not currently seeing more intense hurricanes than we did in past decades. 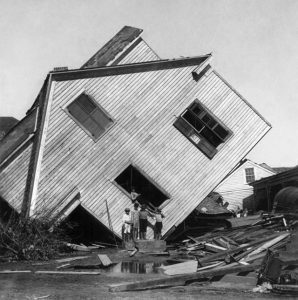 He says that since 1970, the country has only been hit by four hurricanes that were Category 4 or higher; in the same number of years leading up to 1970, there were 14 such strikes. He points out that Tropical Storm Claudette caused 43 inches of rain to hit Houston in a mere 24 hours; it took a few days for Harvey’s rainfalls to reach those numbers. He points out that nearly 12 years have passed since the last major hurricane (defined here at Category 3 or stronger) made landfall in the country. 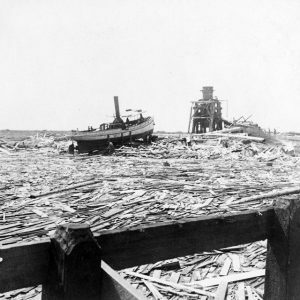 Moreover, the greatest natural disaster in the history of the U.S. happened a very long time ago, when a category 4 hurricane killed between 6,000 and 12,000 people in Galveston in 1900. This leaves Spencer wondering why the National Weather Service is calling the event “unprecedented.” He thinks this term might ultimately apply to the damage and the number of people who are affected by the storm, but as a meteorological event, it’s hardly unprecedented.